Obama v Romney 2012 = Proud Lion v Wiggly Fish! As you know, in Astrology the planet of plans, planning ability, thinking processes, communication styles, bargaining techniques, the senses, manual dexterity, and The Mind is quicksilver Mercury. With the presidential candidates of 2012 said to be running neck'n'neck (except in the 'swing states' where Mr. Obama is ahead), and no plans for 2013 and beyond are being offered up by either of them. So let's act sassily and draw back a curtain on the natural born talents each man possesses as indicated by the signs in which their natal Mercuries are posited. Aspects to and from Mercury and its house (department of life) position will be included, as well as some info on their Secondary Progressed (SP) Mercuries in 2012 which will show under what influences their Mercuries currently function. BHO's natal Mercury makes two separating (unconscious; talents and tendencies he was born with) aspects: a sextile to the Moon in Gemini (1S02) and an opposition to Jupiter @00AQ52 Rx (degree of US Inaugural Sun each January 20th.) However, Jupiter is 5 degrees 32 mins from n Saturn @25Cap20 Rx, strong in its own sign of Capricorn (government, law, and business) yet Saturn is weakened in a Water house (12th H of Politics with 19Cap01 on its cusp, though some say Saturn 'joys' in the 12th H of Sorrows! ), is Rx (weak or absent father--'prodigal'), and as chart-ruler (ASC 18AQ03) must co-rule with his 7th H Uranus in Leo. Perhaps their orb is too wide to count a dissociate Mercury-Saturn opposition here though you may consider it if you wish. When positively used, a Mercury-Moon sextile denotes one who has learned to be patient and listen to others, and who doesn't allow feelings to affect rational judgment. Engaging in new ways of thinking has brought him onto conflict with those who tend to think in terms of cliches and platitudes and who are too quarrelsome to feel compassion for others. This is an empathetic aspect (made stronger with n Moon in Mercury-ruled Gemini) when thinking Mercury is balanced with the feeling Moon, yet a tendency to placate others may be noticed. Retreat from intellectual attack is used as a strategy so that a counterattack may be made from a different perspective. Decision-making based on accomodating others may be seen by opponents as a character weakness and decisions are often overruled by those he wishes to appease. Yet an up-side to this sextile is a pronounced talent for debating which naturally is helpful to President Obama in Politics. Mercury opposite Jupiter gives much inspiration but practicality must be found elsewhere in the chart. Having Saturn in Capricorn suffices most of the time especially if dependable (and probably older) advisers give pragmatic advice! The road to success is presumed to be 'easy' by this opposition though others may be alienated along the way if a potential know-it-all attitude is allowed too much of an upper hand in the personality. Inconsistent statements and judgments which must later be reconsidered and 'walked back' are possible if details are overlooked, ignored, or not given their proper weight. Yet inattention to detail is mitigated by having Mercury oriental (planet that rises last before the Sun), a condition which always dots the Is and crosses the Ts, and has a need "to conform to clearly defined expectations and procedures" (Tyl), a basic trait which clued me in back in November 2007 (when Saturn opposed Uranus, remember?) that Senator Obama would be at least as much of a status-quo Saturnian president in many areas rather than a purely radical Uranian. Mercury oriental may be considered inconclusive since it's often the case that Mercury rises before the Sun, yet the president has carried on many programs and practices--and cabinet members' tenures--from the Bush years which gives credence to the Saturnian theory in my view. With a Mercury-Jupiter opposition, an insatiable appetite for knowledge is pronounced though sometimes fragments of information may be deemed 'enough' as the Mercural mind leaps forward; law, education, government, writing, and public relations are favored by this opposition (thinking v expansion brings astute awareness with Jupiter relating as a future-oriented Aquarian--Saturn is the traditional ruler of AQ) though legal entanglements may occur at key times. President Obama's successful passage of the Affordable Health Care Act (which should be 'Health Insurance Act') out of the starting gate of his presidency in 2009/2010 may be in part attributable to his Mercury (plans, legislation, agreements) in the 6th H of Health along with the White House's focus on the American diet and the sorriness of it. 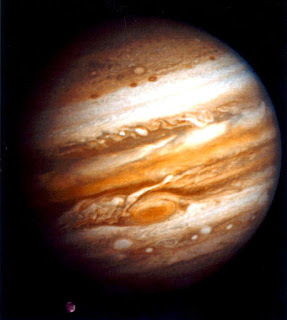 Another aid for his Mercury-Jupiter opposition is that both planets are part of a Mystic Rectangle pattern (practical idealism) long with Moon and Midheaven which gives his Mercury-Jupiter-Moon energies an Angular place in the broader world in which to operate (if you count an Angle as part of a planetary pattern, that is; MC = Career and Public Standing.) Charisma is indicated by this sparkly cosmic pattern as well and you may agree that he's favored with a sparkle which informs his showy Leonine style of rhetoric with its dramatically-timed pauses. Romney's Natal Mercury in Pisces: Swim Away, Swim Away! As noted previously on this blog, Mitt Romney 'MR' (March 12, 1947 9:51 am EST Detroit, MI) was born when Mercury Rx, Mars, and Sun were in Pisces, sign of The Fish--or, more precisely, the Two Fish, so he thinks, acts, and is a Pisces. One of the two fish swims up, the other swims down...which way does Mitt swim in this old world? It's a choice upon which his life and ultimate destiny depend as he tries to avoid being caught in the net of accountability. And yet...Mercury in Pisces has telepathic abilities, a vivid imagination (trouble separating fact from fiction? ), and is vulnerable to subliminal suggestion. Is this how he 'studies' for political speeches, events, or interviews? Hmm...wonder who stands over the aquarium? Are they still of this world? Now Mercury is 7 Degrees 41 minutes from an applying conjunction with feisty Mars which may account somewhat for MR's interest in Politics. Perhaps if they were closer he could express himself with sharper focus though I suppose that in his remarks there is evidence of a 'let the chips fall where they may' style to a certain degree along with a talent for debate. So he "misspeaks"? Let the chips fall where they may, for he's always self-satisfied! A closer applying aspect (5A35) by Mercury is a lovely trine with priestly Chiron denoting powerful healing and occult skills and a pleasurable sense of intuitive knowing--'a wise old soul' is he (Clow.) The Mercury-Chiron cycle relates to commerce as well as to communication and intellect (Nolle) and a trine between them shows MR to be a communicator (Reagan returns?) and role model or teacher for the masses (no thanks--financial murkiness is not a good role model to my way of Mercury-in-Capricorn thinking!) 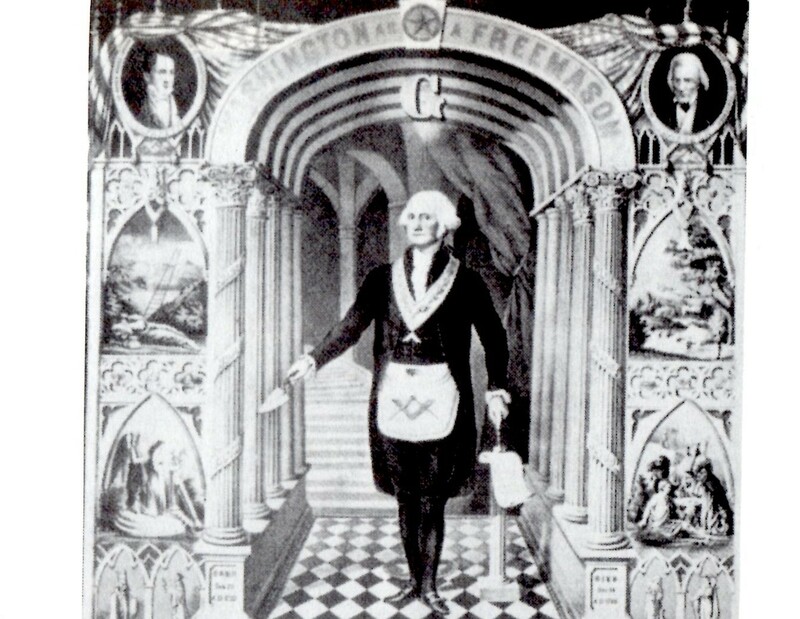 An aspect between Mercury-Chiron points to the importance of Mormonism in Mr. Romney's life and possibly his position as a priest. Projecting himself prematurely, as he did in the UK, Israel, and Poland, may lead to being discredited and progressives and liberals are having a jolly time of it from Stewart and Colbert to Stephanie Miller and others you can probably name! His inability to compromise--Mercury SQ Uranus--indicates much learning is ahead if Mr. Romney wishes to be thought of as a 'statesman' in spite of what his adviser Dan Senor said today in defense of Mr. Romney's (weirdly out-of-touch) statement on the Palestinian people. Sun square Uranus adds more eccentricity and sometimes unprincipled behavior to the candidate's personality and supports his tendency to be at odds with society--here is an 'upstart' and a 'troublemaker' says this aspect. "Bush on steroids" may well describe the Uranian Romney, as did Vice President Biden recently. 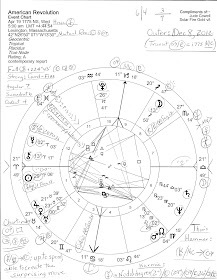 Romney's natal chart is ruled by mutable Mercury as is his 5th H of Risk-Taking, Gambling, Creative Pursuits, and Children; nebulous Neptune Rx in Libra is posited in 5th H. Whatever house has Gemini on its cusp (ASC = his nibs) is where multiplicity and/or duplicity constellates in the chart; Neptune is the planet of fraud and falsehood, and its sign of Pisces is associated with priestly functions. Not Mercurial but of importance in Romney's SP chart because of his candidacy is his SP Moon @8Ari29 which is now reaching SP MC (The Goal; Aspirations) @10Ari48. '11Ari' = "The President of the Country" in Sabian Symbols so we clearly see his aspiration and goal on display, yet SP Moon exactly opposes SP Neptune (8Lib19 Rx) at the Foundation (IC) of the chart! This denotes his dreamy hopes, a mask worn for the public, and the unstable conditions created by his obfuscations and deceptions--his self-delusions and illusions of grandeur. A Moon-Neptune opposition also brings in the public (Moon) and the media (Neptune) along with the propaganda and fakery the media always treats us to. It's a creative duo, yes, but can show his illusions about himself ('11Ari') which may not be based on solid ground--for watery Neptune may wash them down The Drain (IC.) Moon-Neptune also shows his overseas trip for publicity's sake--and to meet with fraud-perpetrating funders (ex: Libor bankers), plus, the confusion and disbelief surrounding his trip. A tendency to be victimized by parasites may also be a problem for Mr. Romney as long as SP Moon is within orb of veiling Neptune. Now SP Mercury in Taurus shows that MR has developed a more rigid, fixed style of thinking than Pisces naturally provides him. No aspects are formed with or by SP Mercury so we must rely on the house of Mercury (11th) for info, plus, the houses SP Mercury rules, the 3rd H of Communications (cusp 10Vir45) and the 12th H of Politics (cusp 25Gem46) and Karma where much duplicity lurks behind the curtain and in secret deals...and within the waters of his unconscious mind...and this makes Mercurial gaffes all the easier to provide for our comedic relief! The Terrible Economy and the Election of 2012. My feeling is that neither candidate puts forth definite ideas about the economy while campaigning for a deeper reason than a wish not to provide a target for an opponent to lambast: because those who call the tune from behind the scenes will decide what's in store for the American people and for the US economy, and whichever mouthpiece inhabits the White House come January 21, 2013 must simply follow the globalist script or else. Very sorry to type it, but there it is. If you don't know this already, you may as well for demons must be faced and identified if they are ever to be vanquished. Here are a few astro-notes on the colleague-convincing Rep. Paul Ryan whose society-busting Budget Plan has been deemd by Gov. Mitt Romney to be "marvelous." Fresh Air broadcasted an interview with Ryan Lizza of The New Yorker today concerning Mr. Lizza's article, Fussbudget: How Paul Ryan captured the GOP. The good news is that privatizing Social Security is no longer in the Ryan Budget but is cautious yet risk-taking Romney, the self-defensive Pisces, "subtly distancing himself" from Paul Ryan? Listen, read, or download the podcast of the interview with Ryan Lizza at NPR.